On Thursday, April 28, 2011, at the Tribeca Film Institute (88th 9th Ave, NY, New York), Music Unites and Berklee City Music Students will honor legendary musician Quincy Jones with a musical tribute including a performance that will commence at 9:45 pm with Curtis introducing Quincy Jones as the Ambassador for Berklee City Music. The students from the Music Unites Youth Choir, Berklee City Music ensemble and the Harbor Conservatory for the Performing Arts, Boys and Girls Harbor, Inc. will perform the Lioness Hunt from The Lion King” on Broadway. 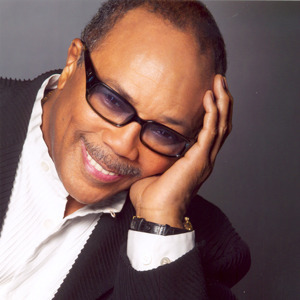 Quincy Jones, a Grammy Award-winning producer, arranger, composer, and Berklee alumnus, has served as a Berklee City Music Ambassador and championed the organization’s cause to bring music education to children in under-served communities. Mr. Jones cited Berklee City Music as a model for youth music programs. He has been an inspiration to the children who benefit from programs like Berklee City Music and Music Unites and now they would like to show their appreciation with a musical tribute.